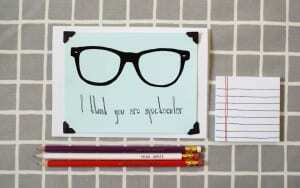 New Products: You Are Spectacular! 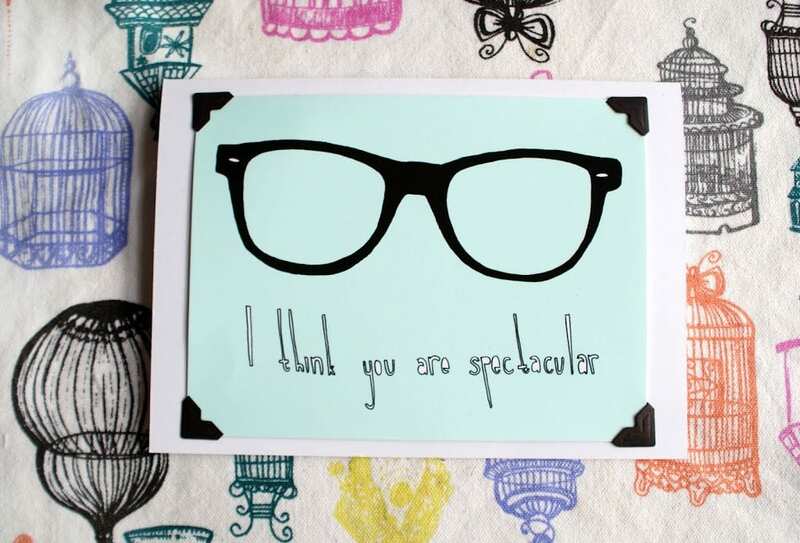 I think you are spectacular! 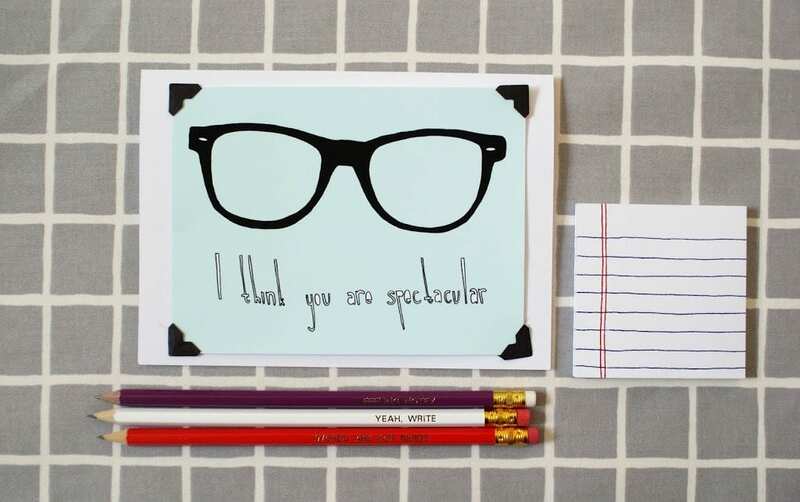 So much so we designed these two new cards just for you! 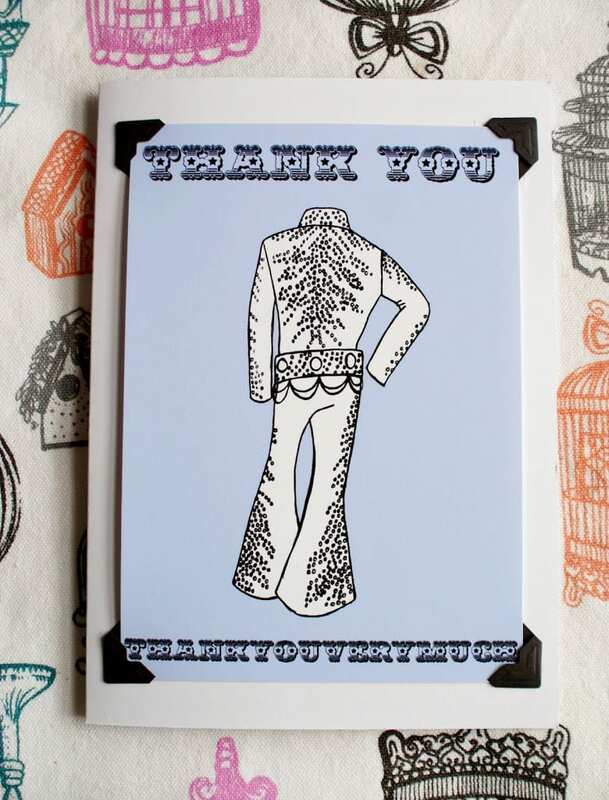 Yup, our newest illustrated cards have been inspired by our favorite people. 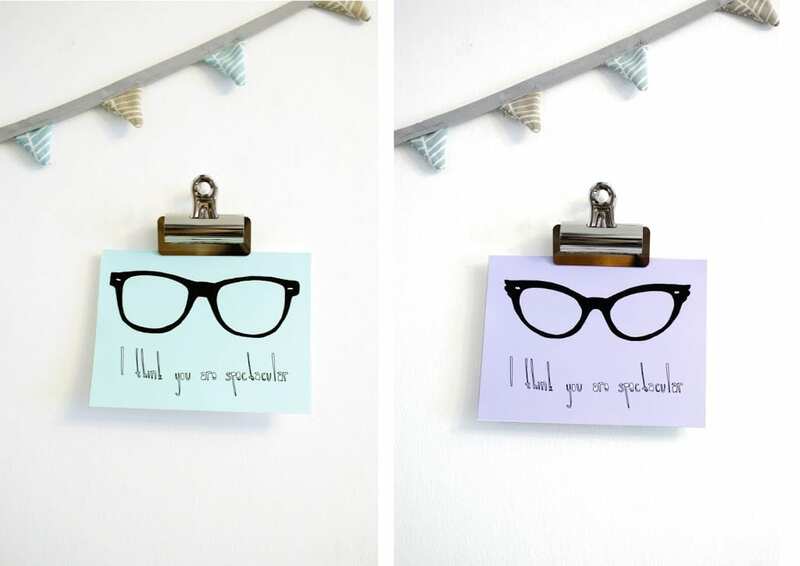 We even designed them as mini works of art, meaning you can give someone spectacular a card to celebrate their greatness and they can stick it on their wall forever so everyone will know it. 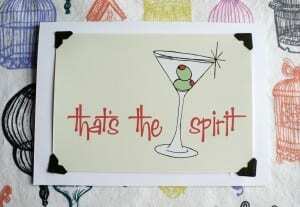 Also new to the shop is our That’s The Spirit card. 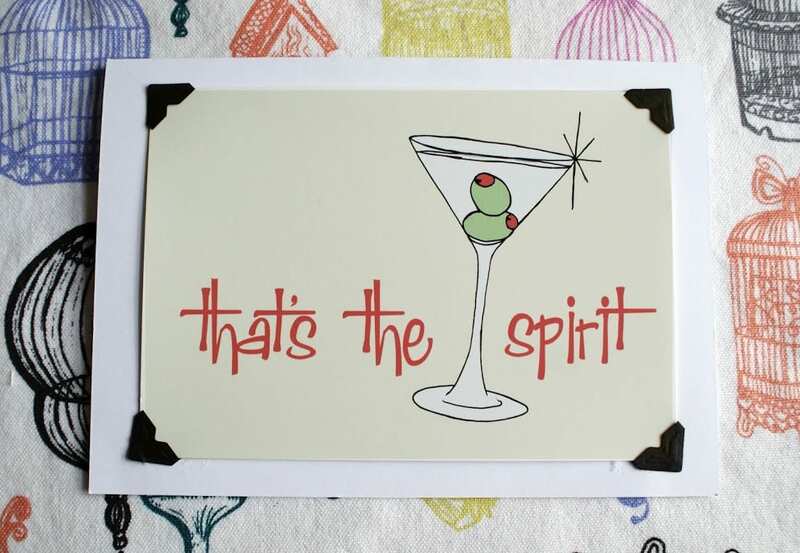 We love a good double entendre and a little fifties twist on things so we couldn’t resist creating this cheeky number! 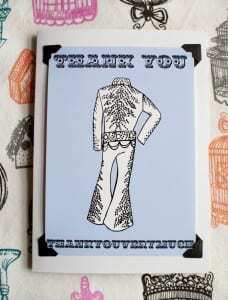 Finally, we wanted to create a thank you card which showed appreciation in a stylish way. Who better to take inspiration from than the King Of Rock N Roll? If you cant beat ’em, join ’em! Our second gift set is for the ultimate vintage tea party lovers. Our set contains our wing tipped glasses card, our ‘Hello Cupcake!’ lunch bag and our ‘Whisk Me Away’ cotton canvas tote bag. 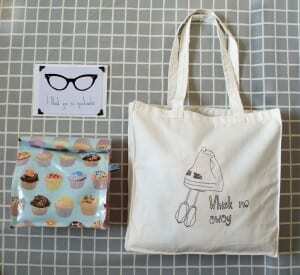 Our simply adorkable set is ready to take your favorite sweet treats out on the town. Tasty and stylish, just add the frosting! 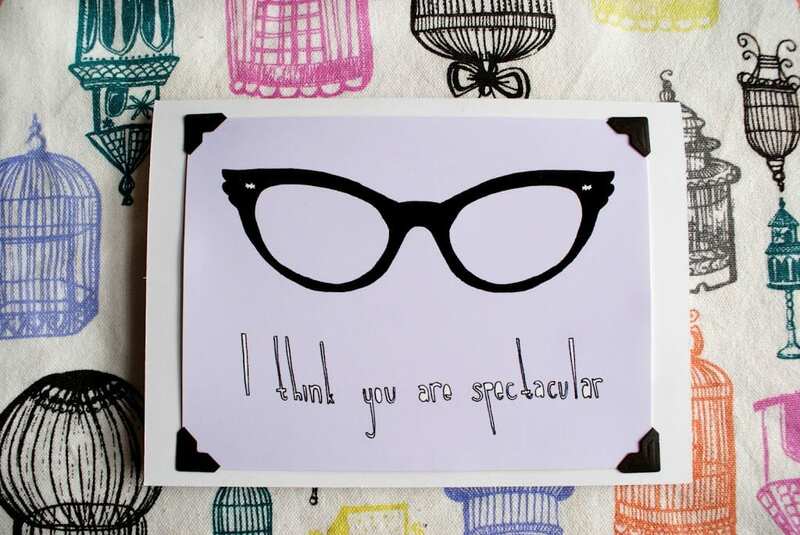 We hope you love our new products, because we think you are spectacular! Aww! 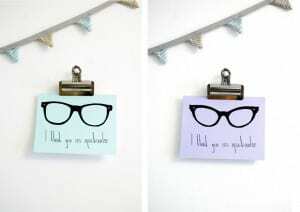 Thanks Modern Buttercup 🙂 we love your blog – you have great taste! We plan to share a lot more too..
Love the glasses cards, so cute! Thanks Drew! You have great taste in eye wear too 😀 spreading that speckie-four-eye love!